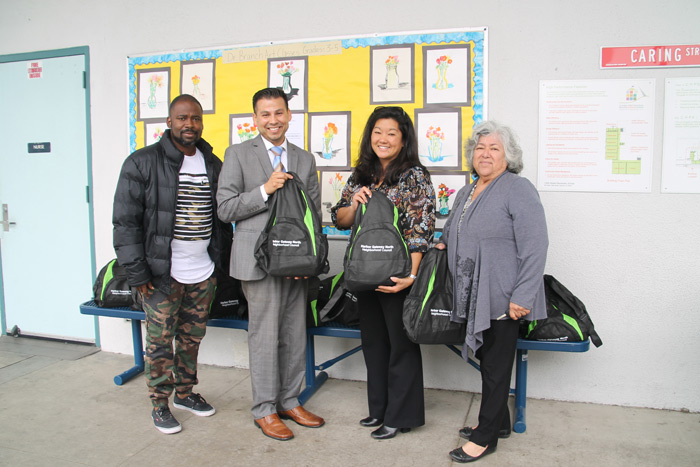 On May 23, 2018 Bryan Davis, the Chair of the Harbor Gateway North Neighborhood Council’s Ad Hoc Homeless Issues Committee, along with other committee members and a stakeholder, delivered 150 backpacks filled with toiletries to the Principals and staff of the Council’s five elementary schools: 116th Street, 118th Street, Figueroa Street, 135th Street, and Gardena Elementary School. 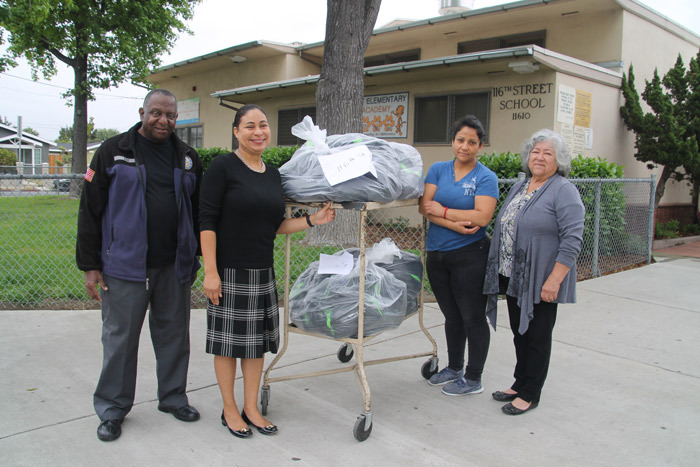 This is the second year for this project which was suggested by Bryan Davis, who works for LAUSD and realized that the toiletries for homeless youth attending the elementary schools was a need which local schools were not able to fund. 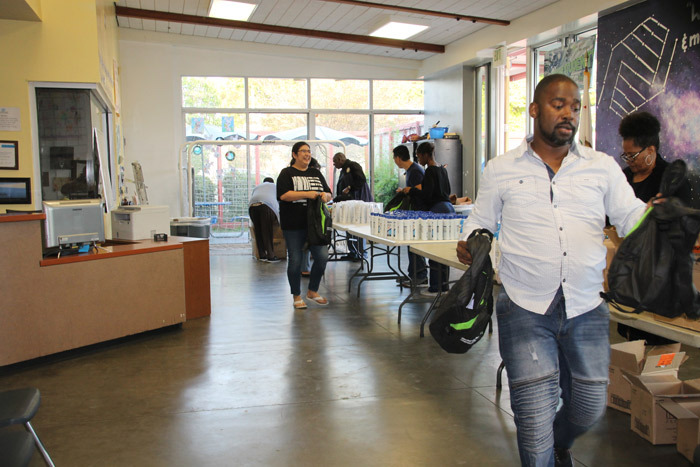 The evening before, eleven committee members and stakeholders had helped to fill the bags with the toiletries via a well-organized assembly line in just a half hour. 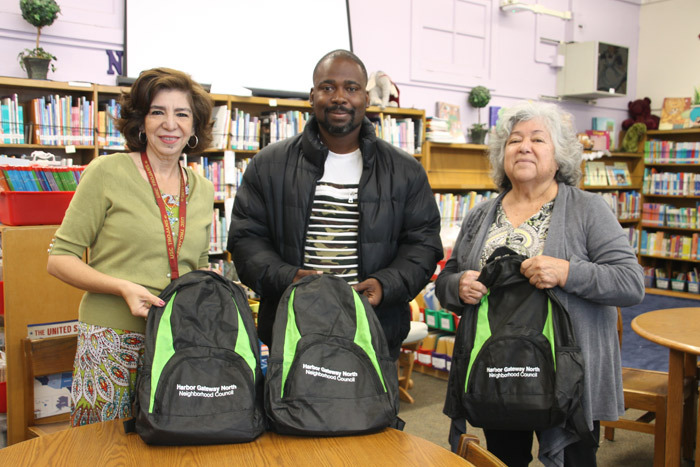 The bags also included a brochure about the Harbor Gateway North Neighborhood Council and the types of activities which the Neighborhood Council supports.